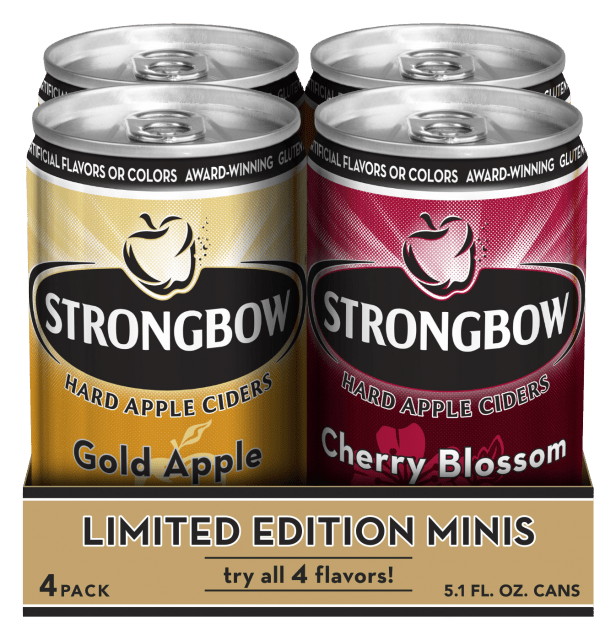 Strongbow Hard Apple Ciders is giving its product line a boost with a new release, Orange Blossom Cider, and the introduction of limited-edition mini-cans. The 4.5% ABV Orange Blossom Cider boasts a fresh, orange blossom aroma, slight sweetness and a refreshing apple finish. It’s the ideal hard cider for those who crave something a little bit different that’s not too overpowering. Orange Blossom Cider is available in six-packs. Strongbow Hard Apple Ciders has also introduced four-packs of mini-cans, allowing cider-lovers to sample four different Strongbow ciders without committing to buying a regular six-pack. The four-pack includes four 5.1-ounce cans with one of each of the following flavors: Strongbow Orange Blossom, Strongbow Gold Apple, Strongbow Honey and Strongbow Cherry Blossom. Be sure to pick up a four-pack of this mini-sampler soon—this is a limited-edition item. Find a Strongbow vendor near you via the online locator. Where can I buy the mini cans, are they still available.